Hall of Fame trainer Bill Mott said Sunday morning that he was pleased with 2019 Kentucky Derby hopeful Country House’s third-place finish in the Arkansas Derby (G2). The late-running Lookin At Lucky colt was wheeled back in three weeks following a fourth-place effort in the Louisiana Derby (G2) on March 23 at Fair Grounds. “He was where we thought he’d be early,” Mott said. “He came with a good run. On the middle of the turn, he was creeping up. I was starting to get a little excited. He made a little run. Mott said Country House came out of the race well, but no decision has been made regarding the Kentucky Derby. The colt, who races for Mrs. J.V. Shields Jr., E.J.M. McFadden Jr. and Jamie Roth's LNJ Foxwoods, has 50 points to rank 17th on the leaderboard. “I haven’t talked to the owners this morning,” Mott said. “As far as I know, they were pleased. Initially, it sounded like they were last night. We didn’t talk Derby. I think that was one of the goals, to get enough points to go to the Derby. Regardless, Mott will be represented by the Tampa Bay Derby (G2) and Wood Memorial (G2) winner Tacitus on the first Saturday in May, that one racing for Juddmonte Farms. 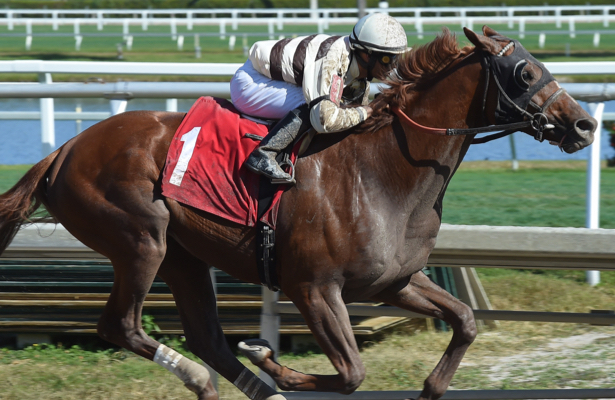 Should Country House's connections decline to run in the Kentucky Derby, the Florida Derby (G1) runner-up Bodexpress has first preference to get in the prospective field.